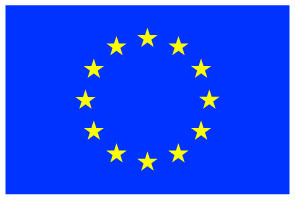 STREST receives funding from the European Union’s Seventh Framework Programme (FP7/2007-2013) under grant agreement no. 603389. Critical Infrastructures (CIs) provide essential goods and services for modern society; they are highly integrated and have growing mutual dependencies. Recent natural events have shown that cascading failures of CIs have the potential for multi-infrastructure collapse and widespread societal and economic consequences. Moving toward a safer and more resilient society requires improved and standardized tools for hazard and risk assessment of low probability-high consequence (LP-HC) events, and their systematic application to whole classes of CIs, targeting integrated risk mitigation strategies. Among the most important assessment tools are the stress tests, designed to test the vulnerability and resilience of individual CIs and infrastructure systems. Following the results of the stress tests recently performed by the EC for the European Nuclear Power Plants, it is urgent to carry out appropriate stress tests for all other classes of CIs. STREST focuses on earthquakes, tsunamis, geotechnical effects and floods, and on three principal CI classes: (a) individual, single-site, high risk infrastructures, (b) distributed and/or geographically extended infrastructures with potentially high economic and environmental impact, and (c) distributed, multiple-site infrastructures with low individual impact but large collective impact or dependencies. STREST works with key European CIs, to test and apply the developed stress test methodologies to specific CIs, chosen to typify general classes of CIs. Interactions with practitioners via the involvement of CI owners and stakeholder workshops. For a summary of the STREST project results, you can go directly here. For all the STREST results, including deliverables, peer-reviewed articles, videos, please visit our Results section. As for the 6 STREST European reference reports, they are available under deliverable: D7.6 - Publication of the STREST European Reference Reports.